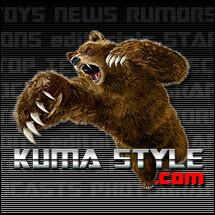 Toy Nippon: BBTS News: Skyrim, DC, Batman, Star Wars, Transformers, Marvel, The Hobbit, Gundam, Monster High & More! BBTS News: Skyrim, DC, Batman, Star Wars, Transformers, Marvel, The Hobbit, Gundam, Monster High & More! This 1/6 scale piece is limited to 750 pieces and shows armored Talos about to slay a serpent. This statue is listed at $159.99 and includes a hand-numbered base and certificate of authenticity. This 1/12 scale mech has over 100 articulation points and stands over 18" tall. It has light-up effects, a poseable pilot with interchangeable heads, clothing for the pilot with a cape for the robot, a katana with scabbard and more. We have this fantastic figure listed at $319.99, $10 off the MSRP. This blonde beauty from the old JSA and current Justice League of America is shown perched on her staff with a pair of red goggles. She is listed at $99.99. From DC's New 52 "Earth 2" comic comes the new version of Hawkgirl. From the image given it appears she will come dressed in a blue outfit with helmet and gun, and is listed at $21.99, $3 off the MSRP. From the hit Batman TV series of the 1960s comes the first kit of the caped crusader, as portrayed by Adam West, in his iconic batsuit and mask. This kit is full of BIFF and POW action and will be an outstanding addition to any collection! The 1966 Batman Model Kit requires glue and paint for assembly and final finishing. Recommended for collectors and hobbyists 15 years of age or older. We have the price listed at $34.99. This kit include driver and passenger figures of the Dynamic Duo and is listed at $39.99. This new kits are made from 4" sheets of metal - you pop out the parts, bend the tabs and fit them together! This first assortment includes the Millennium Falcon, a TIE Fighter Advanced, R2-D2 and an AT-AT, and each is listed at $11.99. The newest Super Sentai show has been announced at Ressha Sentai Tokkyuger, and will feature the Rangers using trains to form their super robots and battle their foes. We have a variety of new items and figures listed - be sure to check them out at the link. The cute brown monster will soon be available in an articulated Revoltech form. He comes with a display stand, a TV with remote control and a number of accessories, and is priced at $39.99. This purple Evangelion Unit is piloted by Kaworu and Shinji and has four arms. It wields two red lances and comes with a variety of additional parts; we have this figure listed at $52.99. Our latest group of WETA items to be listed includes some impressive collectibles. These include Life Size statues of Gandalf the Grey at $4999.99 and Gollum at $2999.99. We also have listings of 1/6 scale figures of Radagast at $274.99 and Gloin at $249.99. ARH has five new statues on the way. They include the 22.5" Angel of Darkness statue at $439.99, the 17.5" Minotaurus statue at $379.99, the 24.5" Ares: The God of War statue at $519.99, and the 21.5" Conan: The Sacrifice statue and 23" Snake & Slave Girl polystone diorama, which are priced at $479.99 and $59.99 respectively and can be combined for one huge dynamic piece. Hey all you Monster High fans, boy do we have some excitement for you!! A brand new Monster High Five pack, Skull Shore!! Priced at $59.99. We also have many single figures that were previously only available in sets!! These are priced from $22.99 to $27.99. The War Doctor figure comes with an alternate pre-regeneration head, the Moment and his Sonic Screwdriver. This figure is priced at $24.99, $3 off the MSRP. Eight new figure kits from Bandai are up for pre-order. They include the 1/100 Scale Nu Gundam Version Ka Titanium figure, the 1/144 scale Valvrave I Full Impact, the 1/144 MS-06R-1A Zaku II Johnny Ridden Custom and a number of new HG Build Fighters kits. Gundam and Valvrave fans will definitely want to check these out, as well as fans of snap-together figure kits. This import-exclusive Gundam figure kit includes multiple swords and is listed at $109.99. This limited edition upgrade kit includes the same parts as the other versions, with each part done in black/dark gray. It is priced at $49.99. Yet another new add-on set for a certain transforming dinosaur, this one includes a new gun as well as a large piece to fill in the abdominal area of the T-Rex mode. This set is listed at $22.99. Mattel has announced some new waves of WWE figure cases. The Basics include Series 35, 36, 37, and 38 at $119.99 per Case of 12. We have the Basic Two-Pack Series 25 Set of 3 at $62.99, with the Series 26 and 27 Cases of 6 at $119.99. Finally, the Elite Figure Series 25, 26, and 27 Cases of 8 are listed at $129.99 each. This model kit has an 18" x 12" base and a cutaway view of one of the buildings. It is priced at $39.99. Marvel's latest offering is a new anime where the Marvel Super Heroes help a bunch of kids face the villains. We have listed the first waves of import toys from this new line; We have figures of Captain America, Iron Man, Spider-Man, Thor and Hulk at $29.99 each, with Transforming Disk Figures of Captain America, Iron Man, Thor and Hulk at $16.99 each. Commonwealth Toys has announced a new line of Simpsons Plush items. These includes 8" Medium Plush figures of the family at $9.99 each for Bart and Homer and $59.99 for the Set of 5; there are also 15" Plush figures of Bart and Homer with Sound as a Set for $49.99, and 24" Jumbo Plush figures with Sound at $44.99 each - Homer, marge, Bart, lisa and Maggie are each available. New 16" Plush Angry Birds Star Wars are up for pre-order as well. The first assortment includes Darth Vader, Stormtrooper, Leia, Han Solo and Chewbacca and are priced at $74.99 each; the second wave adds sound and includes Luke with Helmet, C-3P0, Obi-Wan and Yoda, also at $74.99 each. A variety of style of the new Head Banks are available. We have the Set of 4 Teenage Mutant Ninja Turtles at $29.99, with Set of 3 Star Wars or Marvel Heroes Head Shaped banks at $23.99 each. This new flirty girl figure is ready to slice and dice and is dressed to kill. This cool new figure is $114.99. This kit includes the Space Shuttle with rocket booster and tanks along with a detailed mobile launcher platform. It is listed at $84.99. DC and Uglydoll have partnered to offer this wave of vinyl figures. It includes Ice-Bat Batman, Wedgehead Robin and Babo Superman, and each is listed at $11.99. Another shipment of this fantastic set has arrived. This Soundwave has copper around the edge of his tape deck door, and the set is listed at $49.99, $20 off the MSRP. We have singles available of Bumblebee Gold Bug at $9.99, Megatron and Orion Pax at $16.99 each and Trailcutter at $18.99. Enterbay's latest basketball figure is Lebron James in his Miami Heat Home outfit. He comes with an alternate head and hands, a basketball, display stand and more. It is priced at $199.99. This former protocol droid is partnered with Zuckuss as a bounty hunter team. 4-LOM comes with a blaster rifle and is listed at $71.99, $8 off the MSRP. Swamp Thing stands almost 10" tall (15" with wings extended) and is armed with sword and shield. He is listed at $39.99, $10 off the MSRP. The ranks of the new 52 super villains swell with the addition of the assassin Deathstroke. He comes with a sword and is listed at $21.99, $3 off the MSRP. This set from the recent film includes Thor, Loki, Malekith, Heimdall, Selvig, Darcy and two Dark Elves. The Set of 8 is listed at $29.99, $10 off the MSRP. This four-pack includes newcomer Angela, Nick Fury, Tony Stark and Ultron's new six-armed form. It is listed at $17.99, $2 off the MSRP. This recreation of the home of the Ghostbusters stands 7" tall and is limited to 1984 pieces. We have it listed at $64.99, $5 off the MSRP. This 10.5" statue shows Batgirl in a black and yellow costume with her long red hair flowing out the back. She is ready to toss a batarang, and is listed at $84.99 saving you $15 off of the MSRP. The Dynamic Duo are now available in the form of POP Heroes figures from Funko. Each is priced at $9.99. Like the subject says, this redeco of the 31" Batman figure is dressed in a black outfit with silver armor panels and belt. We have it listed at $49.99. The two stragglers have finally arrived. Each of these figures comes with alternate hands, a weapon and a removable cape, and is listed at $79.99. This assortment includes three different kits - Braver with Laster, Blacker with Support Mecha, and Overlord. Each Box of 5 is listed at $44.99 and will contain a random mix (of 5) of the three sets - each box we have seen opened has contained at least one of each kit. We also have random singles at $9.99 each. The new "scare"mester brings a couple of new students. Janfire Long and Catrine Demew are priced at $23.99 and $22.99 respectively, and each comes with accessories. We have received the first part of our Howlywood Black Carpet figures, and we still have Draculaura and Clawdeen Wolf left after filling sets. Each is listed at $15.99. We also have the Howlywood Accessory Set of 2, priced at $54.99. These miniature stylized figures comes from a variety of horror franchises, and include characters like Chucky, Freddy, Michael Myers, Ash and many more. We have them listed as a Box of 24 for $134.99 ($25 off the MSRP), and as Random Singles at $5.99 each. This 21" piece by Clayburn Moore shows the Angelus in flight with wing stretched upwards and sword in hand. It is limited to 250 pieces and is listed at $249.99, $50 off the MSRP. These mini figures of the talking teddy bear from the movie of the same name stand about 2" tall and show him in 5 different looks from the movie. They are in stock as a Bag of 40 for $139.99, or as random singles at $3.99 each. We have received small quantities of a number of MOTU Classics figures; newly restocked items include Strobo, Granamyr, the Eternian Palace Guards Two-Pack, Skyhigh with jet Sled and Battleground Teela.